I can’t believe it’s almost Christmas – I still have things that I meant to do this past summer. But here we are, and I am excited for this season. There are cookies to bake, gifts to buy and visits to make. But finding that perfect gift isn’t always the easiest thing to do. 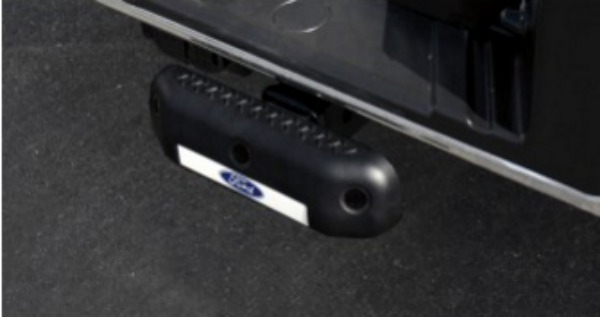 We currently own two Ford vehicles and I was thinking of something I could get my husband for Christmas and I know he would appreciate accessories for his Ford car. So I thought it might be good to take a look at some gift ideas for the Ford car owner in your life. 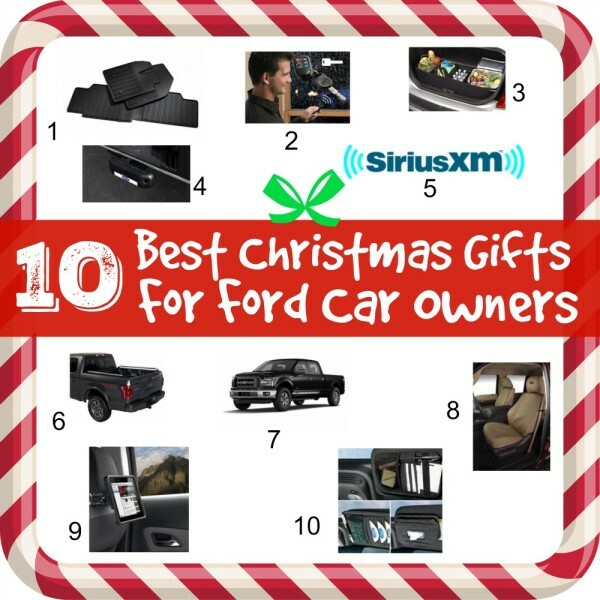 Here are the 10 Best Christmas Gift Ideas for Ford Car Owners…. First thing up, let’s consider how much our friends and family depend on our vehicles. I don’t know about you, but between school, business, shopping, and entertainment I find that our Ford cars are impossible to do without, no matter what the weather is outside. So, how about a set of All Weather Floor mats? 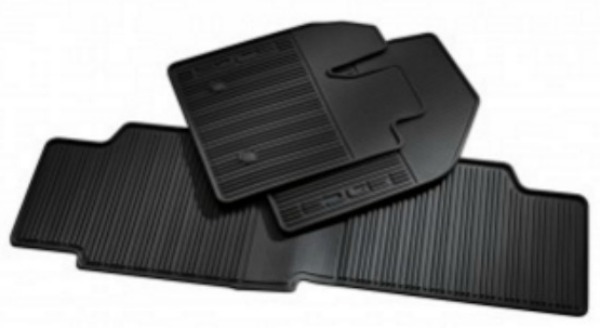 These All Weather Floor Mats will both protect and enhance the vehicle of that special someone on your list. And speaking about all weather, it is nice when you have a nice warm vehicle on a cold or drizzly day. Because we all hate to trudge outside to start a vehicle in bad weather? Brrrrrrrrr. 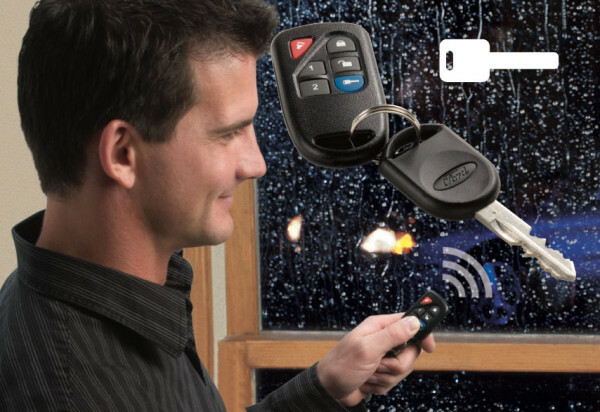 This is why a Remote Start could be a thoughtful gift for someone you care about. With easy installation, those cold morning trips could be a thing of the past. When it does come to shopping, you have to give a little consideration as to how you are going to get it home. So maybe that someone would appreciate a Cargo Organizer for their vehicle. This organizer makes it easy to transport those purchases home without spills or tumbles, and the soft sided unit easily folds and stows away once you make it home. 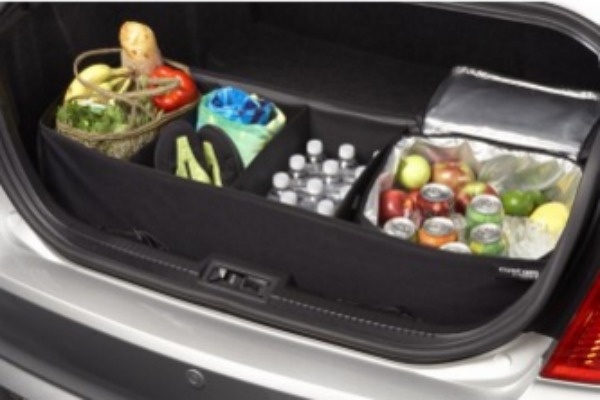 This Cargo Organizer will be perfect for tailgating, too. Of course, it would also work great for moms that have to make those all too often school project trips. But let’s not forget to appreciate technology when thinking about potential Christmas gifts. One of the things that I am always finding annoying is when it comes to parking my vehicle. You never know if you are too close to that car/object behind you, and it can be hard to watch for any moving objects as well. This is why the HitchScan Rear Park Assist Sensor is such a great gift – it adds another pair of eyes for when you are in a tight spot, and it warns you when it detects an object in the scanning area. This would even be great for all those Christmas shopping trips. This is something I would find quite useful, myself. Of course, it might be that you have a music lover on your list. So how about a Sirius XM subscription for them? Of course, it isn’t just about music – Sirius XM also offers Talk, Comedy, and sport options to entertain and inform anyone on your list. Plus, there are streaming options so that you can take Sirius XM with you wherever you go. 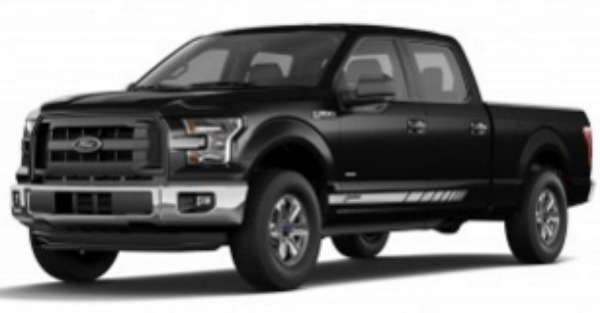 Maybe you have someone on your list that is sporting a nice Ford F-150. How about some high quality Bed Rails for them? Not only do these look great, but they are very handy when it comes to securing loads. And with tie-down weight limits of up to 500 lbs., this is one gift they are sure to appreciate throughout the year. Speaking of dressing up a vehicle, how about a classy Graphics Kit for that special someone? Custom graphics kits are easy to apply, yet the results can be dramatic. These kits are built to withstand the elements, so they are sure to be looking great for some time to come. But why stop at just dressing up the exterior? 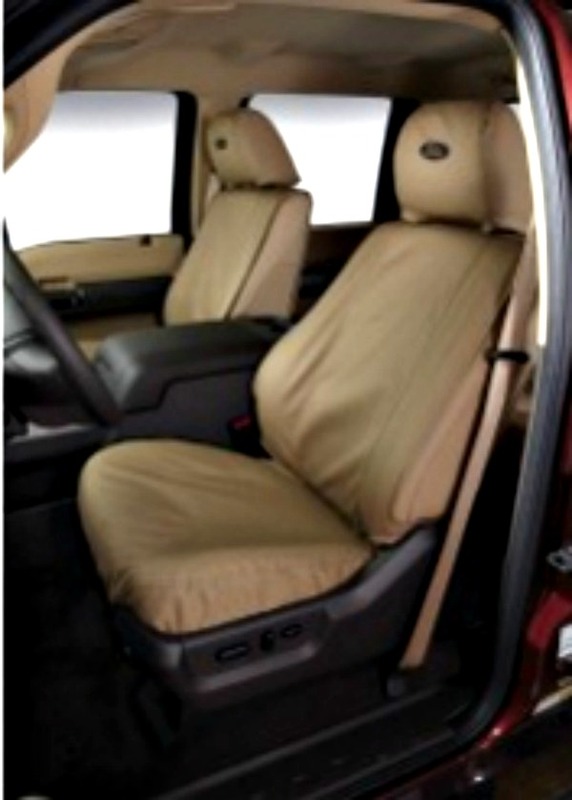 New quality Seat Covers By Covercraft can make an interior new and luxurious. With easy to install construction and features like map pockets to keep you organized, seat covers might prove to be a great gift. And not only do they look great, they also protect the interior of the vehicle from everyday spills and stains. Moms know all too well how messy even a simple meal can be when it comes to kids (and adults, too). And while the kids are munching down on those mobile meals (or on a long trip), it might be good to keep them entertained. 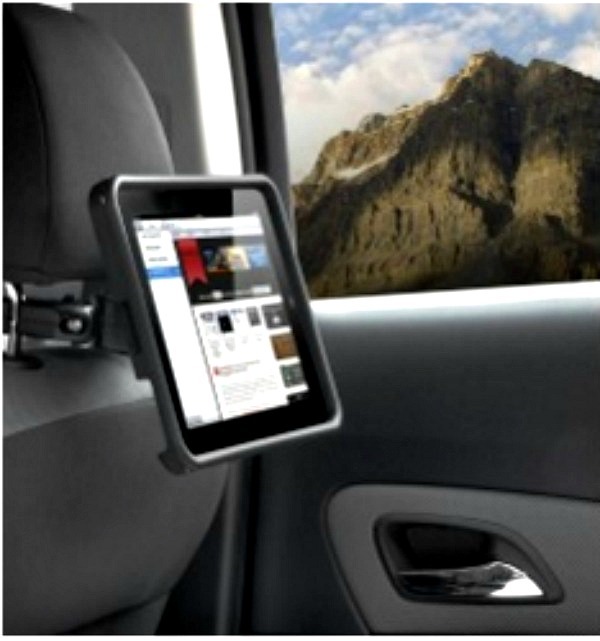 A Tablet Cradle by Lumen offers a way to mount an iPad for backseat viewing. It offers multiple viewing angles for passengers of all sizes. Plus, it keeps those cookie-crumbed hands off the device for the trip. 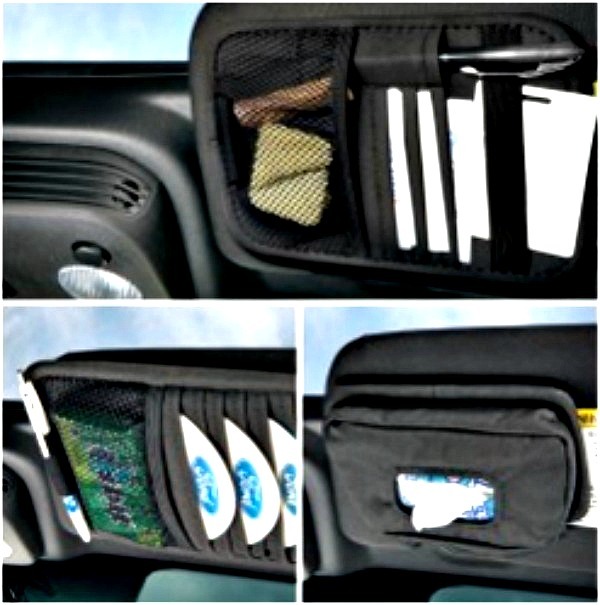 Finally, why not try to help that special someone stay organized with a Sun Visor – EZ Store Visor Organizer Kit. This 4-piece collection features such handy items as a flashlight pouch, expandable card mesh pocket, and even a pen/tire gauge cradle. Moms can keep tissues or wipes handy, as well as snacks for any and all emergencies. It might be that the “hard to buy for” person on your list would be happy with a gift that goes in their car. If so, they just might find it to be a gift that they appreciate the whole year, and years to come. Now if I could just figure out who to send that fruit cake to this year. Maybe it would make a good wheel stop? No, re-gifting it as a wheel stop is not an option, no matter how practical it might be. Which of these parts and accessories would you like to give or receive this Christmas? All Photos courtesy of Four Seasons Ford. Note: Prices can vary between make and models. Prices listed do not include tax. I need new mats in my car. The snow is coming and I need them. My husband has a Ford truck. I bet he would love some of these accessories for it. You can never go wrong with satellite radio. I think my husband would love some Sirius action in his life. These are really good ideas. There are a lot of Ford owners in my family. A camp organizer could be cool! Love this! My uncle has a Ford he would love all of these gifts. I have a Pontiac and it came with OnStar which also gave me SirusXM. I am not the most techy person, but I love having these options. My husband owns a Ford truck. What great gift ideas! Seriously, amazing ideas! We really need some new floor mats! Great list – my husband would love all of these ideas! I bought my Ford Escape and drove it off the lot with only 7 miles on it. It now has well over 200,000 miles on it and it’s still going strong! I love my car, but I think those seat covers would come in handy. My seats are looking a little rough! Accessories are such a great gift idea for any car owner! I’ve never owned a Ford, but I hear they are fabulous automobiles! My parents just bought a new Ford Truck and they love it. I think the back seat is quite comfy… I rode in it from Texas to MN and it was nice. We could really use a Remote Start. That would be awesome on those cold winter days. Thank you for this. My son and daughter both have Ford car and SUV. These are great suggestions. I never think of floor mats. These are great gift ideas. I would love to have a remote starter for my car. I hate going out to start it in the cold. I love my Sirius radio! Remote start is fantastic when it’s cold out. I loved having Sirius, but sadly my subscription ended. I’d love to renew it, but it’d be a great gift too. We don’t have a Ford, but we do have Sirius XM in our van. I love that service! This is a great list of ideas for the holidays! 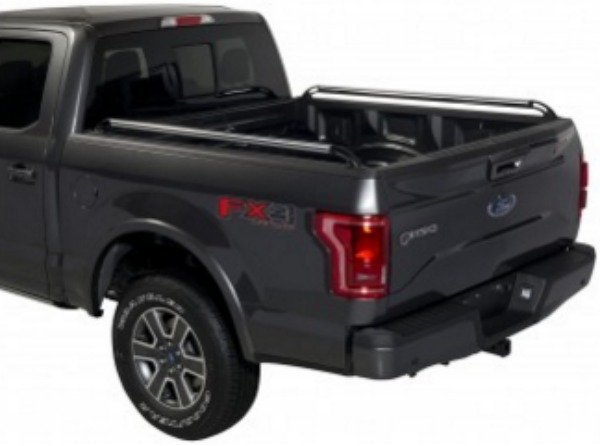 I don’t own a Ford but love your collection of gift ideas! I let Sirius XM expire and now I”m thinking I better get on top of it! I bet my uncle would love a remote starter! Thanks for the post!